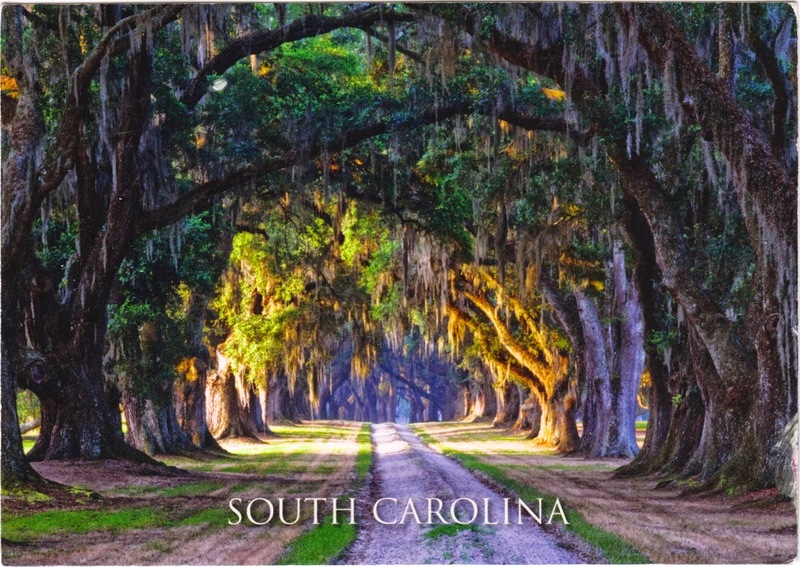 Postcard US-3263845 from Pennsylvania shows live oak trees that form a canopy over the quiet back roads of the Low Country. Some branches are horizontal and can grow out 40 to 60 feet or 12 to 18 meters. The trees are called live oaks because they stay green all winter. The sender have driven to all 48 continental states in the U.S. That reminds me an article on How to Really Drive Across the U.S. Hitting Major Landmarks. I need to put that idea on my bucket list.